Born in Larne Northern Ireland on the 26th of March 1980, and have one brother "Alan" born 17 of July 1982 and one sister "Julie" born 2 of April 1986. Attended "Larne High School" between the years 1991 to 1996, and completed 6 GCSEs (5 Grade C or above). 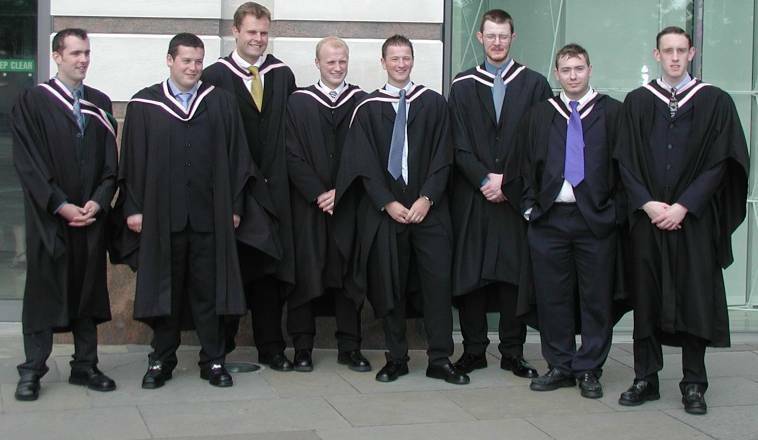 During the years 1996 to 1998 a "BTEC National Diploma in Electronic / Electrical Engineering" was obtained while attending "East Antrim Institute of Further and Higher Education (Newtownabbey Campus)". 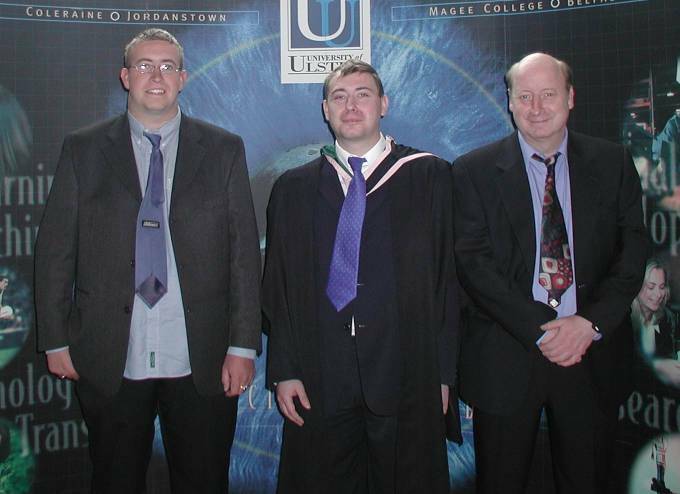 During the years 1998 to 2002, attended the "University of Ulster (Jordanstown)" and achieved First Class honours in BEng Electronic Systems. Enjoy outdoor activities like swimming, cycling and fishing and most indoor activities like snooker, pool and amateur radio. Extremely interested and enjoy working with computers, this includes: computer programming (have experience programming in C, C++, HTML, JAVA and BASIC), Website design (i.e. this website), networking (LAN and WAN) and basic computer applications (e.g. word processor, spread sheet, etc.). Also extremely interested and enjoy working with electronics, this includes: digital electronics (Both design and repair of digital circuits), Microprocessor electronics (have experience using Z80, 6800 and 68000 processors), Microcontroller electronic (have experience using PIC16F877) and upgrading my computer system (extra RAM, network card, Hard drive, CDR drive, new motherboard etc.). On completion of my degree at the University of Ulster I would like a job in the engineering field. Interested in all fields of engineering including the mechanical end, but would like to specialise in the electronic & computer end. Spent one week working in Camco International in Monkstown for work experience; it was a very interesting and enjoyable week and learned a lot about CNC lathes, CNC milling machines (including how the CNC machines were programmed) and precision instruments. I worked in a local engineering company (D Engineering) in Belfast during my summer holidays from collage & university. The job involved undertaking lots of different mechanical engineering practices. Including the use of drilling machines, a saw cutting machine, a punching machine, hand held angle grinders, mig welders, reading of technical drawing etc… This was a very good learning experience and enjoyed it very much. Although the electronics & computer side of engineering is preferred and hope my future career is in this area.